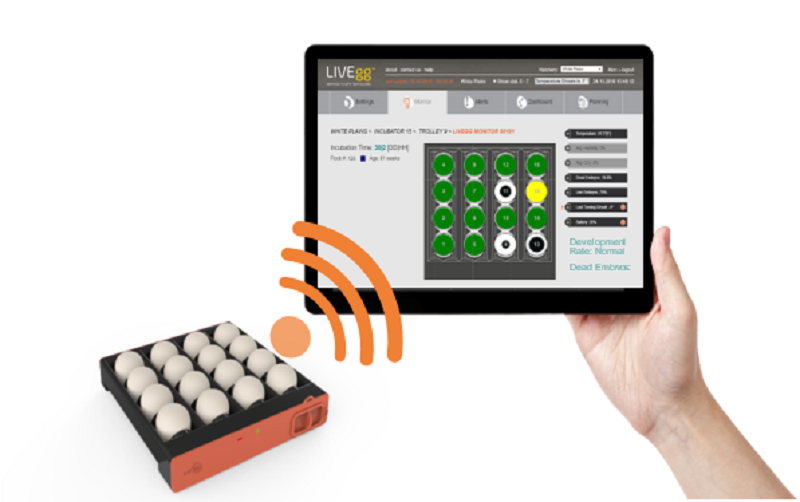 Ditigal technology firm LIVEgg has launched an embryo monitor called CrystalEgg, capable of directly identifying the embryo’s physiological signals and providing real-time information about the embryo’s well-being. The non-invasive system will be showcased for the first time at the International IPPE Production & Processing Expo, which will take place February 12–14, 2019 in Atlanta, Georgia. The firm is holding demos to explain how the technology can yield higher numbers of better-quality chicks from the same number of eggs. From its location inside the incubator, CrystalEgg identifies the physiological signals of the embryo and the environmental conditions of the incubator through non-invasive methods. The signals are transmitted, analysed and presented via CrystalEgg application. It senses, in real-time, the presence of a living embryo in the egg, providing alerts if it is dead or the egg is infertile. It can also detect the developmental stage, providing critical information for maximum operation of the incubation.